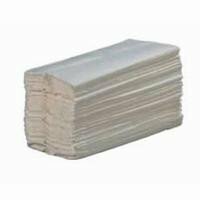 C fold Flight Towels are designed to breakdown on contact with water, reducing the risk of blockages in the toilets. We regularly supply Airlines, Trains, and chemical/mobile toilet units with this item. The C Fold Flight Towels come in sleeves of 2304 towels; each tissue is a soft 2ply. The Flight Towels will fit any standard C or Z fold Dispenser.